Six people were hurt on Friday when an explosion took place at a protest site in Thailand amid violence between the protesters and the police that has been continuing for a week now, reports said. Though no further reports came on their condition, local media reports suggested that the explosion was caused by a grenade thrown from a nearby overpass. The blast happened on the day that hundreds of angry farmers had threatened to begin another protest at the Thailand’s main airport, causing fear for a repeat of 2008 blockade of the venue again, Associated Press reported. "I've talked to [Yingluck] and we agreed that the government will urgently pay 3 billion baht ($92.2 million) to the Uthai Thani farmers next week. If the promise is not kept, we will come back," protest leader Chada Thaised said, according to a local newspaper, Matichon. 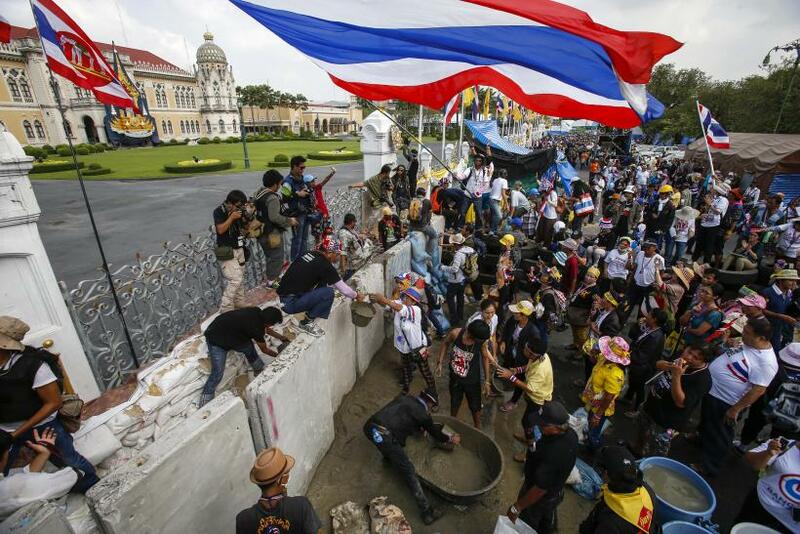 The anti-government protests in Thailand have been continuing for the past three months, on accusing Thailand’s Prime Minister Yingluck Shinawatra for corruption. On Tuesday, the police clashed with the protesters leaving five people dead and hundreds injured, following which the National Anti-Corruption Commission accused Yingluck that she handled the rice subsidy program improperly and stated that she attend a hearing. Under the rice-subsidy program, which was earlier promoted by her brother, Thaksin Shinawatra, Yingluck’s government bought the grain from the farmers at prices higher than market rate. The government has not been able to pay the farmers fully till now, owing 110 billion baht ($3.39 billion) to then till date. The program also accumulated losses of about $4.46 billion, according to AP. 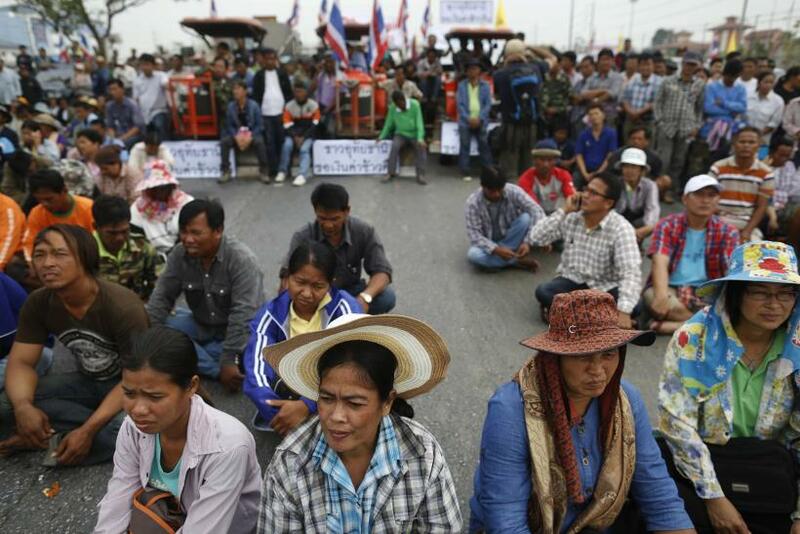 The farmers started rebelling against Yingluck’s administration, adding more fuel to the ongoing protests, demanding for a full payment for their goods. Yingluck is also accused by many that the government is actually being controlled by Thaksin, who had fled the country facing corruption charges and lives in Dubai currently. Over the past one week, the riot police have made several arrests to curb the ongoing protests by reclaiming government sites, but the protesters do not seem to be budging. 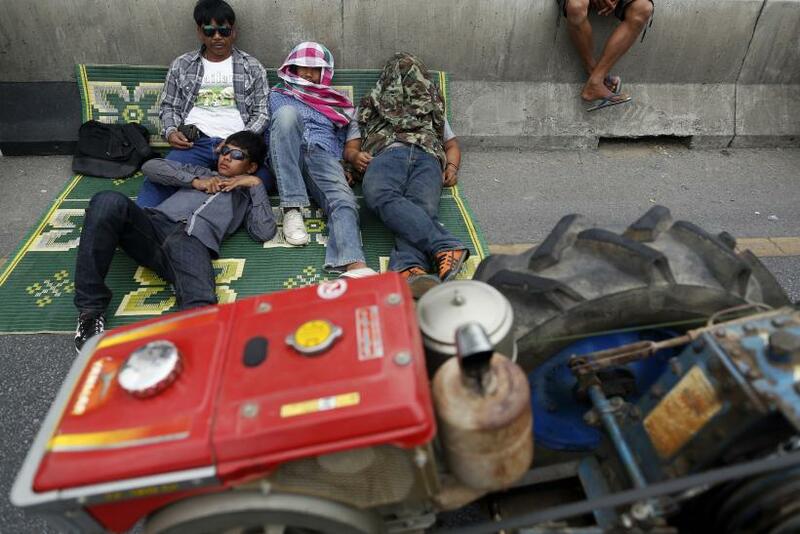 And with the farmers now threatening to park a hundred tractors at the Bangkok’s Suvarnabhumi Airport if not paid, Yingluck faces a tougher problem, as it is still unclear how the administration will arrange this money.